Bicyclists face a multitude of risks every day. Even with the use of safety gear and helmets, cyclists may suffer serious injuries, particularly when they ride on busy roadways. According to Alert Today Florida, Florida had the highest pedestrian fatality rate among all states in 2011, as well as a significant number of bicycle fatalities. The study claims that Florida accounted for 17.4 percent of all bicycle fatalities in the United States in 2011. The injuries that result from bicycle accidents may leave victims with high medical bills. Often, these injuries prevent victims from returning to work, which puts their financial security at risk. 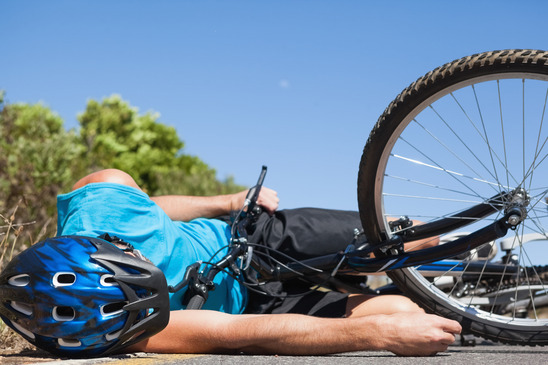 For this reason, it is important to contact a personal-injury lawyer immediately after a bicycle accident. Wolfson Law Firm, LLP is a respected Miami personal-injury law firm, and we have the necessary experience to evaluate all aspects of your accident and advise you on possible litigation and compensation. Call us today at 305-285-1115 for a free case evaluation from a Miami personal-injury lawyer. News4JAX reports that a vehicle struck and killed a young toddler. The accident took place just before 8 p.m. while the 3-year-old boy was riding with his parents on College Drive in Middleburg. The child sustained serious injuries and was transported to Orange Park Medical Center. The child died from his injuries shortly after being airlifted to UF Health Jacksonville. According to state troopers, the accident took place as 21-year-old Travis Little attempted to maneuver his vehicle around the two cycling adults, but he had failed to see the young child cycling alongside them. He collided with the toddler, causing serious injuries. Little stopped immediately when the accident took place and is assisting officials with the investigation. The adult cyclists with the child were family friends, and officials informed the parents of the accident shortly after it happened. NBC Miami reports that a man died while cycling across train tracks in Dania Beach. According to officials, he approached the railway tracks on his bicycle and continued over the tracks—despite the fact that warning lights and sirens activated at the crossing. The 53-year-old man was unable to beat the train, and he was hit head-on. The collision threw him into the air, and he landed back on the tracks. A passerby heard the accident and went to assist. Medical responders declared the man dead on the scene shortly after. The accident left the railway line closed for hours as officials investigated the scene. No other injuries were reported in the incident. Each year, 800 cyclists die on U.S. roads, and a significantly larger number suffer injuries. At Wolfson Law Firm, LLP, we want to protect your legal rights if another person’s negligence causes injuries. Call us today at 305-285-1115 for a free consultation. A Miami accident lawyer will assess your case and determine if you deserve compensation for your injuries.